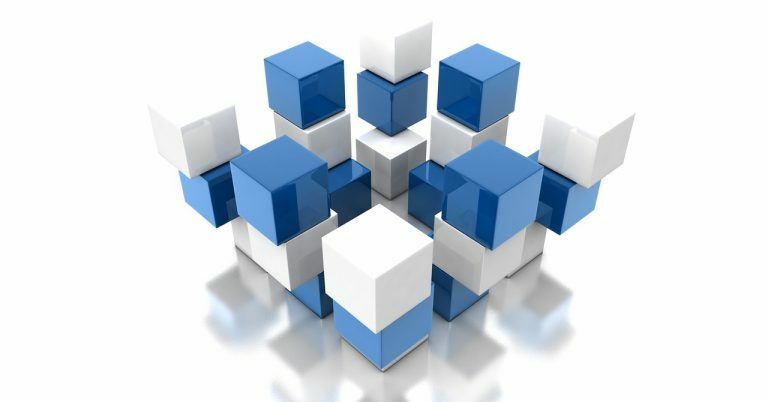 The POV String is a user-friendly language developed by Casabase Software designed to provide a familiar and intuitive way to pull back data intersections (or data “slices”) from an OLAP source. 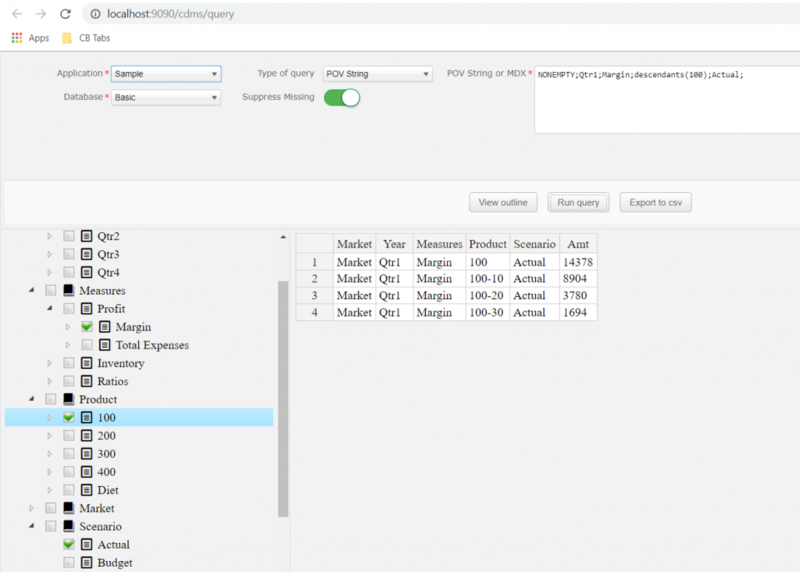 Querying from OLAP sources such as Oracle Essbase has traditionally only been available via vendor-supplied interfaces or MDX, a non-trivial query language developed specifically for OLAP sources. The problem with both of these methods is you are either beholden to the whims of the OLAP provider, or you have to learn a very complex language. The POV String by Casabase Software eliminates both these problems. The POV String is semicolon (;) delimited between dimensions and pipe-delimited (|) between members. You can specify more than one member per dimension (separated by pipe). You can specify one or more dimensions, and not all dimensions must be specified. The order the dimensions appear is not important. This POV String will pull all children of South and the member of California for the Entity dimension, all descendants of Year for the Period dimension, and member 100 from the Product dimension. Children(South) and California are separated by a pipe (|) because they are from the same dimension. There is semicolon (;) after California because it signals the last member for that dimension and members from a new dimension will be specified next. Notice that the POV String allows the use of Children() and Descendants(). Other set operators, such as Members(), Attribute(), and Ancestors(),are also available. 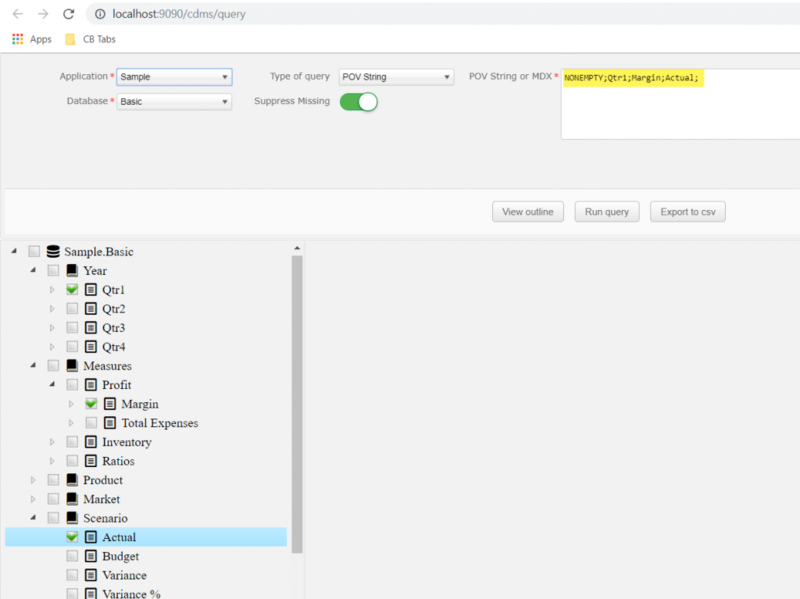 For a complete list of set operators available for your particular OLAP source and how to use them, please consult the ExoInsight documentation. 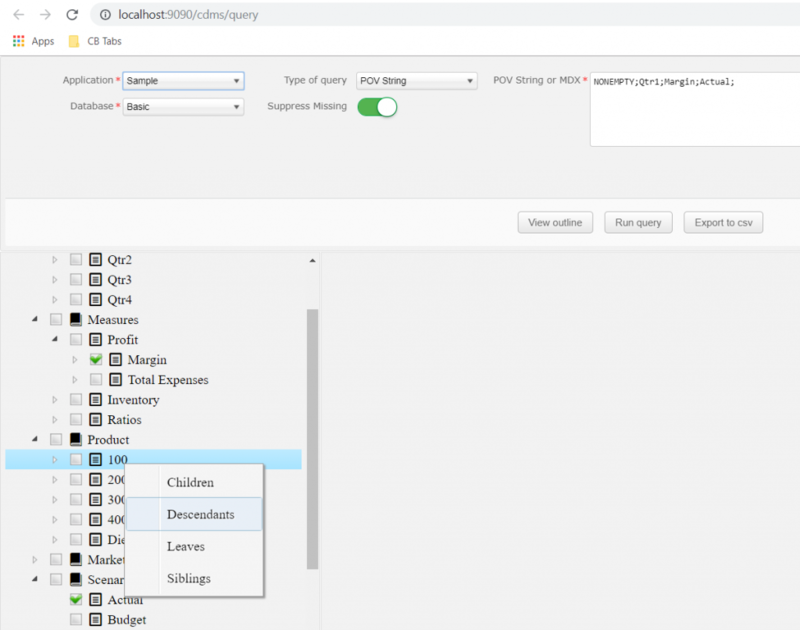 Until now, creating a POV String to use in Tableau, SQL Server, Power BI, or any other reporting tool has required knowledge of the underlying OLAP source. 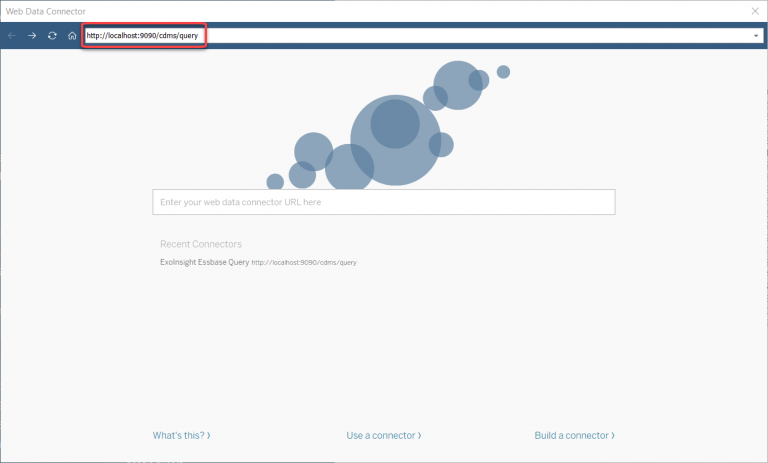 You’d have to know the dimensions and members of a particular Essbase cube to create a valid POV String to pull data. To make building a POV String even easier, we are excited to announce new functionality called the POV String Builder that allows you to visually build a POV String without having to know the underlying source! 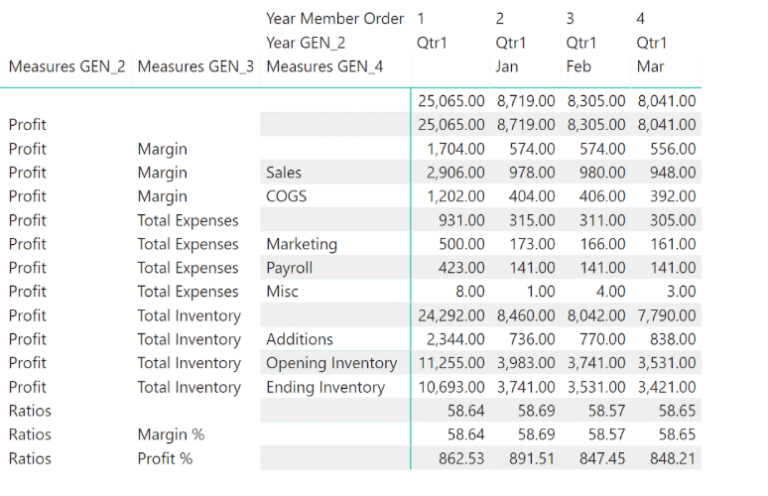 You can export the results displayed to a csv file if desired. 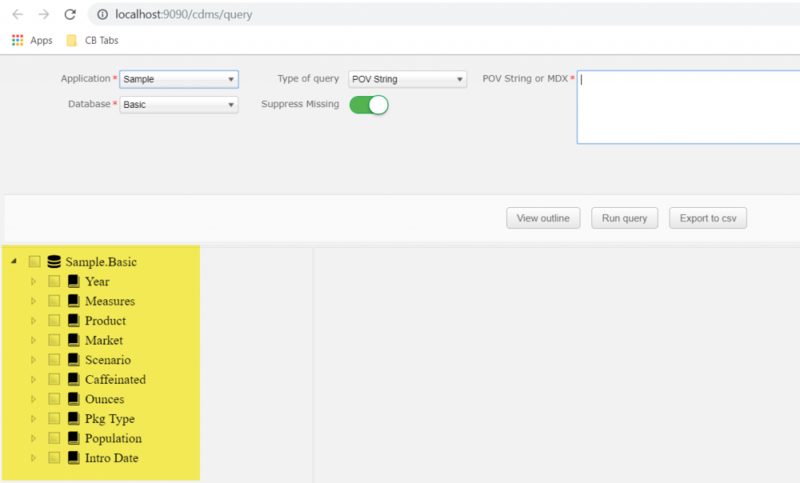 Now that you have created the POV String, you can copy it from the text box and use it in any report, SQL process, or other ExoInsight-connected application. Even if you don’t have access to the outline or know exactly how the underlying Essbase cube is designed, you can still easily build a POV String to allow you to pull the data you need! If you’d like to learn more, please reach out to us via the Contact Us page and we’ll be happy to talk about your specific needs!